As different as the shapes and sizes of higher and lower plants appear, the early steps in embryogenesis show profound similarities. 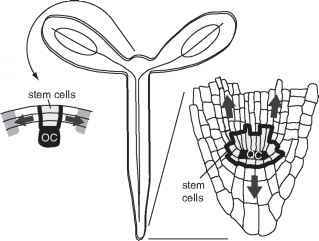 Embryos of higher plants develop deep inside maternal tissues and thus are difficult to use for experimental manipulation. 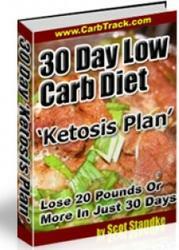 Therefore research on embryogenesis has focused on genetics as an important tool. Lower plants such as the brown alga Fucus have free-living zygotes and have provided a valuable system to study asymmetric division (Fowler and Quatrano 1997; Scheres and Benfey 1999). Recently, however, a system has been developed to culture zygotic Arabidopsis embryos inside their ovules in vitro (Sauer and Friml 2004), greatly improving experimental accessibility while the normal embryogenesis program proceeds. Zygotic cell division is generally transverse and asymmetric in angiosperms (Lindsey and Topping 1993). Asymmetry is already evident in the egg cell itself prior to fertilization by means of polar localization of nucleus and vacuole according to the apical-basal micropylar-chalazal axis of the female gametophyte (Mansfield and Briarty 1991). After fertilization, the zygote elongates while remaining polarized and it divides asymmetrically to produce a smaller apical cell that will generate most of the embryonic tissues and a larger basal cell that will give rise to the suspensor (Fig. 1A). In Arabidopsis the pattern of cell division in early embryogenesis is extremely ordered. The smaller apical cell will divide longitudinally twice before the next division is transverse. The basal cell undergoes only horizontal divisions (Mansfield and Briarty 1991). The initial asymmetry in egg cell and zygote suggest a role for the maternal tissues in providing extrinsic cues to direct the asymmetric zygotic division, although it is unclear how instructive these polar morphological criteria are in directing the asymmetry of division and daughter fates. Maize and tobacco zygotes produced by in vitro fertilization also develop into asymmetrical two-celled embryos that consist of a small cyto-plasmic rich apical cell and a large vacuolated basal cell (Kranz et al. 1995; Okamoto et al. 2005; Ning et al. 2006). The maize zygotes can eventually develop into fertile plants (Kranz and Lorz 1993). These studies then suggest extrinsic maternal factors are not required for the asymmetric division of the zygote making a case for intrinsic regulation of asymmetry. In vitro tobacco zygotes at elongation stage display apical polar distribution of arabinogalactan proteins (AGP) observed by way of epitope detection using monoclonal antibodies (Qin and Zhao 2006). Disturbing the biological activity of AGPs by application of P-D-glucosyl Yariv reagent (PGlcY, Knox 1997) increased symmetrical division of zygotes. AGPs are a diverse family of hydroxyproline-rich glycoproteins typically carrying >90% carbohydrates that play multiple roles in various processes associated with plant growth and development, including cell expansion, cell proliferation (Willats and Knox 1996; Nothnagel 1997; Shi et al. 2003). These results together with previous reports on AGP localization in embryogenesis (Pennell et al. 1991; McCabe et al. 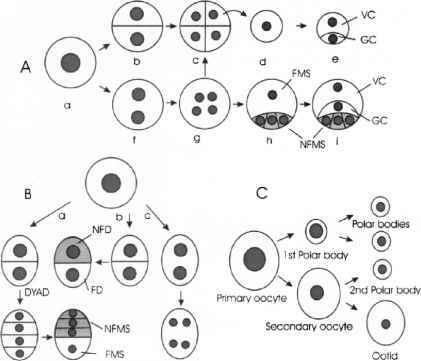 1997) suggest AGPs may be involved in establishing and stabilizing polarity in the zygote as a first step towards asymmetric cell fate determination upon division. Fig. 1. A-D Sites of asymmetric cell division in plants. A Asymmetric division in embryogenesis takes place in the developing seeds in the siliques. The zygote divides in a smaller apical and larger basal cell. Radial divisions generate the epidermis, ground and vascular progenitors. Hypophysis division (hd) generates the lens shaped cell as progenitor of the QC. B Pollen development in the anthers of the male reproductive organs in the flower. Asymmetric division at PMI results in a vegetative and generative cell. C Asymmetric divisions during stomata development in leaves generate meristemoids. D Lateral root initiation starts with the specification of pericycle founder cells and their asymmetric division into flanking small cells. Thick black lines in panels A-D indicate the asymmetric division. See text for detailed descriptions that in Arabidopsis was found to be expressed in the basal cell after zygotic division (see below, Haecker et al. 2004; Ning et al. 2006). Interestingly, a number of genes already expressed in the zygote were up regulated in the apical or basal cell (Okamoto et al. 2005; Sprunck et al. 2005; Ning et al. 2006). An important next step will be to determine whether and if any of these upregulated mRNA's or their products are polarly localized in the zygote and instrumental in asymmetric division and/or fate determination of daughter cells. In animals homeodomain transcription factors specify distinct domains in the developing embryo (Krumlauf 1994). Plants also express home-odomain transcription factors and their specific expression domains are instrumental in specifying cell fates (Lu et al. 1996; Jeff et al. 1996; Mayer KFX et al. 1998; Abe et al. 2003). WUSCHEL (WUS) is the founding member of the WOX homeodomain gene family, and specifies the shoot stem cell organizing center (Mayer KFX et al. 1998). Expression of several WOX genes was found to mark cell fate changes during early embryogenesis. WOX2 and WOX8 are expressed in the egg cell and the zygote. After division of the zygote WOX2 mRNA is detected in the apical cell complementary to WOX8 mRNA expression in the basal cell. WOX8 mRNA accumulation in the basal cell is joined by WOX9 expression. Unfortunately, experimentation did not conclusively discriminate between asymmetric WOX2 and 8 mRNA accumulation before zygote division or immediate after. However, never was overlapping expression observed in zygote daughters hinting towards intrinsic regulation of asymmetric division. Embryos mutant for WOX2 showed a detectable phenotype displaying aberrant oblique divisions in the apical cell and its descendants suggesting a role for WOX2 in apical cell specification. Surprisingly, later stage embryos recovered and eventually gave rise to fertile plants (Haecker et al. 2004). Genetic redundancy of the highly related WOX8 and 9 genes may be the cause of the absence of mutant basal cell phenotypes. Identification of the YODA (YDA) MAPKK kinase revealed a key role for MAP kinase signaling in asymmetric cell division of the zygote and establishing cell fate in its daughter cells (Lukowitz et al. 2004). In yda knock-out mutants the zygote does not elongate properly and the basal cell and its derivative show aberrant divisions. As a result these cells do not form a suspensor and are eventually incorporated in the embryo. Initial development of the apical cell lineage is normal indicating asymmetry of division is not completely abolished. Despite these defects, a proportion of yda mutants can develop into adult albeit severely dwarfed plants indicating YDA takes part in a number of developmental processes. Gain-of-function mutants suppressed embryo formation and in severe cases the zygote developed into a suspensor like cell file. This suggests YDA is down regulated in the apical cell lineage allowing embryo development. Although YDA mRNA accumulation appears ubiquitous in the tissues tested the expression is not resolved with cellular resolution. Interestingly, MAP kinase signaling generally acts downstream of receptors activated by extracellular ligands. In that respect YDA activity during and after asymmetric division might represent the readout of extrinsic signaling. Auxin distribution is associated in the first divisions of the plant zygote. In vitro cultured embryos were used to show that immediately after division of the zygote the auxin reporter DR5::GFP expression is pronounced in the apical cell and auxin accumulation was confirmed using anti-auxin antibody (Friml et al. 2003). This accumulation pattern was disturbed by application of the synthetic influx auxin derivative 2,4D or inhibition of auxin efflux by 1-N-naphthylphthalamic acid (NPA) or the vesicle trafficking inhibitor brefeldin A (BFA) implying the efflux machinery as the mechanism of auxin distribution. Specifically, in wild type embryos PIN7 was detected in the basal cell immediately after division of the zygote at the apical side facing the apical cell where PIN1 was expressed without detectable polarity. A low but reproducible fraction of pin7 mutant and RNAi lines failed to establish the apical-basal auxin gradient and the stereotypical division pattern of the apical cell in some cases failing to establish the proembryo completely. As mentioned above GNOM/EMB30 controls the polarized vesicle trafficking and is required for PIN1 recycling (Steinmann et al. 1999; Geldner et al. 2003) but it may also direct polar PIN7 localization. gnom/emb30 mutants display skewed or symmetric zygotic divisions but also later divisions are abnormal (Mayer U et al. 1993). Thus, gnom mediated asymmetric auxin accumulation appears to be essential for proper apical-basal axis specification and PIN7 acts as a player in establishing the initial embryonic auxin distribution. However, all these events occur after the zygotic division which by itself is already asymmetric and the auxin distribution may serve merely to reinforce or act in concert with polar inherited intrinsic factors to determine cell fate post-division. In summary, the plant zygotic division shows the characteristics of an intrinsic asymmetric division. However, maternal input may be involved in polarizing the egg cell prior to fertilization and external factors appear important in fate stabilization of the generated daughters and their progenies. Root formation is initiated at the boundary between the apical and basal cell lineage. When the pro-embryo derived from the apical cell reaches around 32 cells in size the uppermost cell of the basal lineage, the hypophysis i.e. the root founder cell, is specified and incorporated into the embryo. At this stage PIN1 becomes polarly localized in the provascular cells facing the hypophysis and PIN7 localization reverses to the basal side of the suspensor cells. These events correlate to the switch in polar auxin transport from up into the embryo to down towards the hypophysis and out of the embryo. Next the hypophysial cell divides asymmetrically and generates a small lens-shaped cell that becomes the organizing (quiescent) center (QC) of the root meristem and a larger basal daughter that is the progenitor of the root cap tissue (Fig. 1A). The cells surrounding the QC will differentiate into stem cells for the various root tissues and in turn are dependent on the QC for their maintenance (Sect. 5.2). The Ser/Thr protein kinase PINOID (PID) was shown to control PIN polarity (Friml et al. 2004) and pid mutants display post-embryogenic apical organogenesis defects similar to those of the pin1 mutant (Bennett et al. 1995). Its function was traced to apical to basal shift of PIN protein localization leading to failure in establishment of local accumulation required for proper apical organ formation. Constitutive overexpression of PID during early embryogenesis leads to misspecification of the hypophysis, demonstrated by its abnormal transverse division and absence of root formation in seedlings. These defects were accompanied by complete basal to apical shift of PIN1 polarity and the establishment of an auxin maximum in the pro-embryo (Friml et al. 2004). Thus auxin transport and signaling is implicated in hypophysial cell specification which in turn is required for its proper asymmetric division. 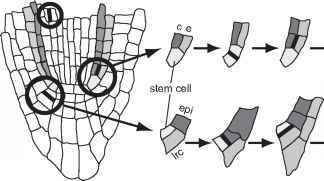 Accordingly, mutants in the auxin response regulators MP and BDL fail to specify the hypophysis and do not form a lens-shaped cell eventually resulting in a lack of root formation (Berleth and Jurgens 1993; Hamann et al. 1999). BDL and MP interact in planta and overexpression of MP can complement the rootless bdl phenotype indicating BDL acts by inhibiting MP (Hardtke et al. 2004; Weijers et al. 2006). However, MP and BDL are not expressed nor move to the hypophysis and mRNAs accumulate in the lens-shaped cell only after its formation (Hamann et al. 2002; Weijers et al. 2006). Elegant experiments showed that BDL and MP activity is transiently required in the central provascular cells of the embryo for non-autonomous stable specification of hypophysis fate necessary for its asymmetric division and subsequent root initiation (Weijers et al. 2006). WOX5 expression is initiated in the hypophysis at the time of its specification in the early globular embryo. After asymmetric hypophysis division WOX5 is expressed in the lens-shaped cell only and expression is maintained in its descendents, the later QC, throughout the plant life (Haecker et al. 2004; Blilou et al. 2005). WOX8 is also expressed in the hypophysis but expression ceases in the descendents upon division and becomes restricted to the suspensor. Neither wox8 nor wox5 single mutants displayed embryonic patterning defects (Haecker et al. 2004). Therefore their involvement in the asymmetry of division remains a question and it is possible that WOX5 acts in a genetic redundant fashion e.g. with WOX8. In analogy to zygotic division WOX genes may operate as intrinsic factors in asymmetric hypophysis division. In contrast, the role of auxin as extrinsic factor seems opposite to that in zygotic division and is required to specify the hypophysis before its asymmetric division. Whether auxin plays a role in polarization of the hypophysis is not known. Embryo tissue layers are patterned as concentric rings around the apical-basal axis. In Arabidopsis radial patterning starts in the octant stage embryo with fate establishment of the primary epidermis, ground and vascular tissue types established from the outside in. Initial periclinal asymmetric divisions set off the outer protoderm layer that will differentiate into epidermis (Fig. 1A). This event correlates with the restricted expression of homeodomain genes (Meristem Layer 1 (ML1) and Protodermal Factor 2 (PDF2) to this outer cell layer and their expression remains epidermal throughout development (Lu et al. 1996; Abe et al. 2003). Although both genes are expressed in the pro-embryo from the time that the apical cell is generated they have not been connected to the asymmetric division. ML1 and PDF2 expression is maintained in the above ground epidermis throughout development and they redundantly act in shoot epidermal differentiation. pdf2ml1 double mutants are seedling lethal and display severe defects, e.g. with leaves lacking an epidermis (Abe et al. 2003). Early globular embryos display additional asymmetric periclinal divisions forming the ground and provascular tissues (Fig. 1A). Around the triangular stage a next round of periclinal division separates the pericycle from the central provascular tissue (Scheres et al. 1995). Within this central domain a series of asymmetric divisions generate the precursors of the xylem and phloem cell lineages that later differentiate into the corresponding conductive vascular bundles that connect all parts of the plants. The xylem cell lineage forms an axis of cell files across the underlying QC cells. Cells flanking this axis go through a series of asymmetric divisions to form the phloem cell types (Fig. 2). Several genes have been identified that are required for proper radial patterning and differentiation of the vascular system but their role in the occurring asymmetric divisions remains unclear (Bonke et al. 2003; Scarpella and Meijer 2004; Carlsbecker and Helariutta 2005). At the early torpedo stage the epidermis stem cells that surround the QC have divided asymmetrically and given rise to a layer of lateral root cap (Fig. 2C). Recently, two genes, FEZ and SOMBRERO, have been identified from a marker based screen in our lab that appear specifically involved in orienting the division plane of this asymmetric epidermis/lateral root cap stem cell division (V. Willemsen, unpublished). Finally, asymmetric periclinal divisions in the daughters of the ground tissue stem cells give rise to the inner endodermis and outer cortex cell layer (Fig. 2B). This last set of asymmetric divisions has been studied in more detail mainly during post-embryonic development (Sect. 5.1).